Cruise ships weren’t the first vessels to bring ocean-going passengers to Hawaii. Outrigger canoes were. Polynesian settlers paddled to the islands more than 1,000 years ago. Their first glimpses of Hawaii revealed much of what cruise passengers today see: verdant volcanic peaks forming a backdrop to fertile valleys of sugar cane, thick groves of coconut palms and ocean as blue as Windex. 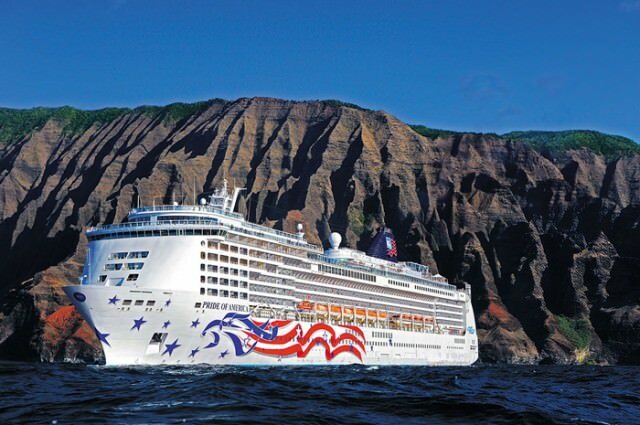 Today, you can experience the beauty and contrasts of four Hawaiian islands on one holiday, cruising on Norwegian Cruise Line’s Pride of America. 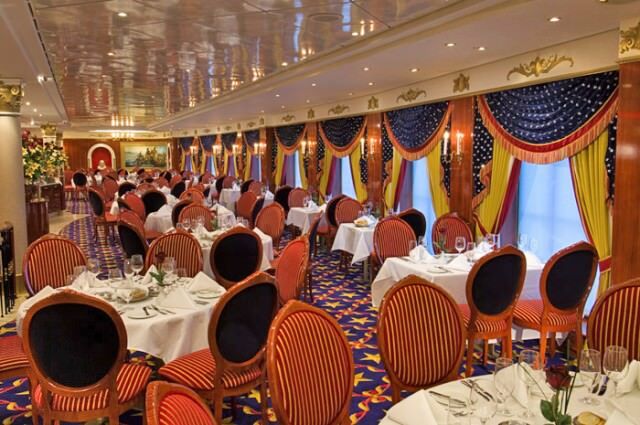 Launched in 2005 and updated to the tune of US$30 million in 2013, the 2,186-guest Pride of America lives up to her name with an interior that’s a celebration of all things American, from the redwood forests to the Gulf Stream waters. She’s also the only large cruise ship on the planet crewed pretty much entirely by Americans, a distinction that puts her in compliance with U.S. cabotage laws, and thus able to sail itineraries comprised wholly of U.S. ports—in Pride’s case, inter-island cruises to all four main Hawaiian islands, among which the vessel sails year-round. Design-wise, Pride of America would really look more at home sailing within the bounds of the continental U.S. than in Hawaii. Passengers step aboard into the Capitol Atrium, designed to resemble the U.S. Capitol, with sweeping staircases framing a model of the Washington Monument. From there, any direction you take will bring you to another bit of Americana, from the John Adams Coffee Bar to the SS America Library (themed on the old steamship of that name) to the Liberty Restaurant, with its stars-and-stripes carpeting, American-eagle-themed glass ceiling, and statues of George Washington and Abraham Lincoln. 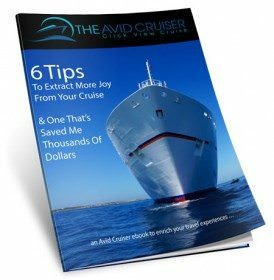 So what you get is a ship that is a bit of a show itself while exploring Hawaii’s volcanoes, waterfalls, rainforests, lava flows and even the volcanic moonscapes of Haleakala with its gorgeous beaches and legendary golf courses. For duffers, Norwegian Cruise Line’s Golf Hawai’i Program guarantees tee times at these courses. 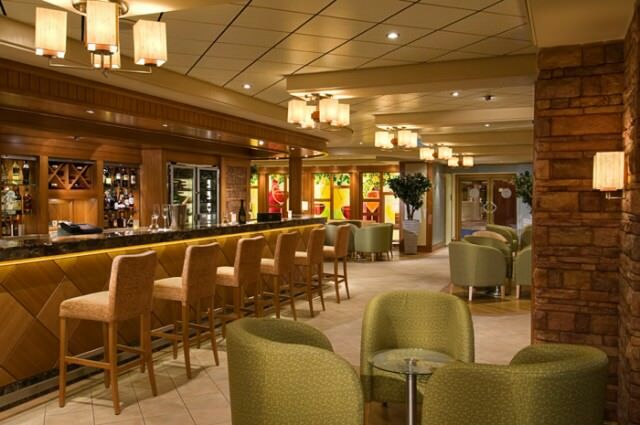 The Napa Wine Bar, an elegant space with a Napa-inspired decor and outdoor seating along the Promenade Deck. The pool deck has two main pools and four hot tubs. One deck up there’s a small bungee trampoline and a crazy gyroscope ride that allows strapped-in passengers to rotate in any direction, like astronauts in zero-G. Deck 12 is also home to the Mandara Spa & Santa Fe Fitness Center with treatment rooms, salon, gym, and quiet outdoor Oasis Pool. Toward midships, kids have the run of the place at the Rascal’s Kids Club, with its large play space, movie room, computer terminals, indoor jungle gym, and outdoor splash pool with tube slide. A separate teen center is right next door. Staterooms on Pride of America are attractively styled but small. Oceanview cabins measure only 144 square feet and most balcony cabins measure only 178 square feet, and storage space is limited. Each is done up in vibrant Hawaiian colors with wooden accents, and offer a small sitting area and an adequately sized bathroom. In 2013, new staterooms and suites were added, including 24 ultra-luxurious suites, outfitted with premium custom furnishings, fabrics, carpets and luxurious bathrooms. Two of the 24 suites are Deluxe Owners Suites. These 566-square-foot suites sleep up to four guests and feature a large bedroom, separate living area and bathroom with custom mosaic tiles. The remaining suites are Family Suites ranging from 363 square feet to 416 square feet, most sleeping up to six guests. The two Deluxe Owners Suites have connecting doors to the adjacent Family Suites, sleeping up to 10 guests when combined. One of the many highlights of the suites is their expansive balconies, ranging from 245 square feet for Family Suites to 410 square feet for the Deluxe Owners Suites, giving Pride of America’s suite guests the largest balconies in the fleet, which could come in handy for taking in the jaw-dropping Hawai`i scenery. Suite guests also enjoy pampering service from dedicated butlers and concierge, plus an array of exclusive amenities such as luxurious Tranquility mattresses from the Bliss Collection by Norwegian, Lavazza Espresso Makers, Elemis bath products, private dining for breakfast and lunch, and more. Solo travelers now have a choice of four new Studio staterooms on board Pride of America. Designed and priced for the single traveler, these staterooms feature a full-size bed, along with a separate bathroom area. Four new inside staterooms were also added to the area on Deck 13. 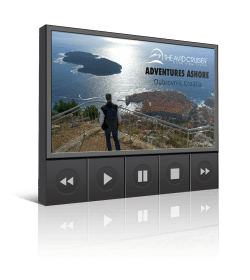 All staterooms feature flat screen televisions. Note for businesses: Pride of America offers one of the largest dedicated meeting spaces at sea, with an auditorium and other spaces able to accommodate up to 550 people. This is a great overview of Pride of America. I’ve sailed on her twice. I would add that the night life is abundant and varied for families and adults. The best part of this cruise ship is her itinerary. NCL has been the only carrier committed to cruise that includes all four main islands. Disney is new to the market. I’m not sure what their itinerary is. For my money, NCL Pride of America is the best way for a first-time visitor to the islands to experience a little of what each island has to offer and use that as a road map for future trips to specific islands.